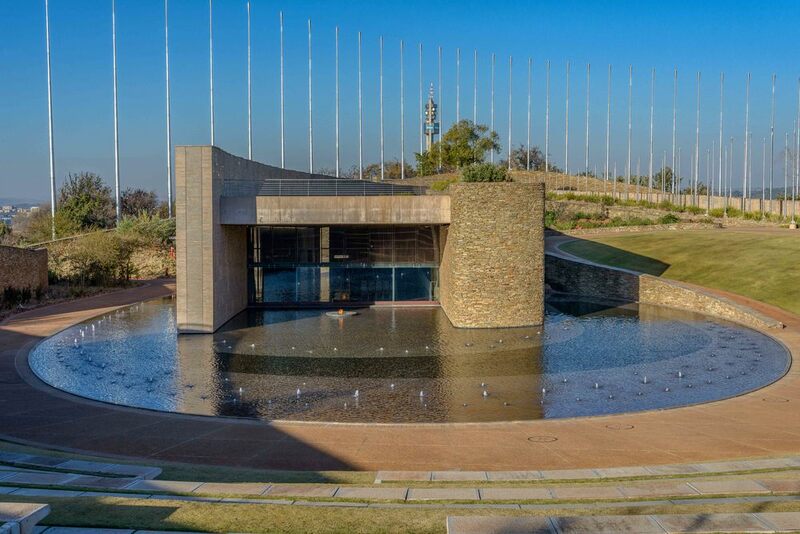 The Freedom Park is situated on Salvokop in Pretoria. Map of the Freedom Park. 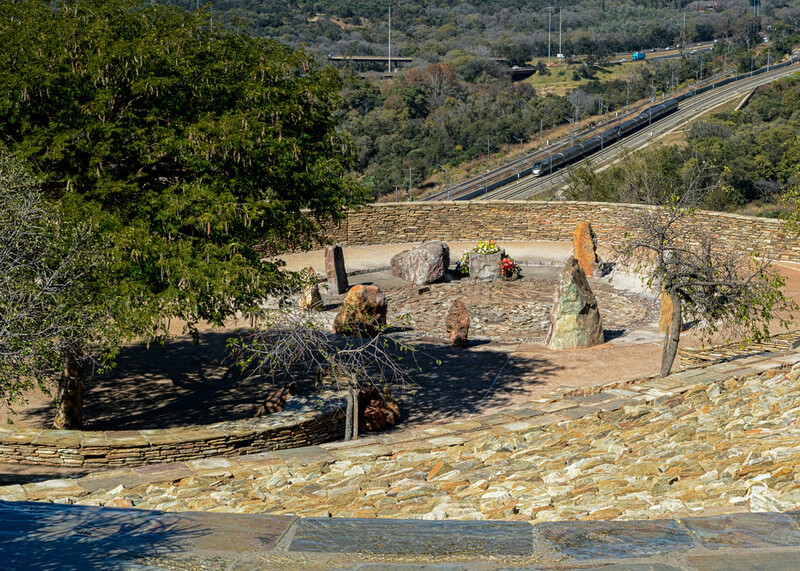 This is the major memorial and tells of the most important conflicts in South Africa's history. It has many different elements, each with its own symbolism and meaning. 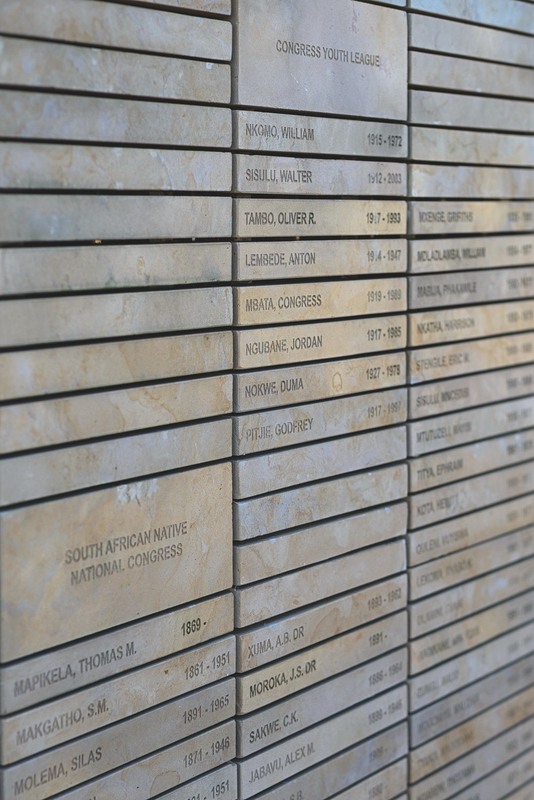 The Wall of Names is inscribed with the names of the heroes and heroines who died fighting for humanity and freedom during the major conflicts. The Eternal Flame is for the heroes and heroines who died without their names being recorded. The flame always burns to remind us that there are names that we will never know. Fre symbolises eternity. Since 2013 is well open the Freedom Park Museum "//hapo". Its telling a story spanning 3.6 billion years of Southern African history, culture and spirituality. You can park here and walk up the hill to the rest of the Freedom Park. Entrance to the Museum with the parking area. The entrance hall of the //hapo Museum. Map of //hapo Museum with the different epoch. Nelson Mandela speech in 1999, after the Freedom Park was opened in 2007. Exhibition "Earth" in the //hapo Museum. Exhibition "Ancestors" in the //hapo Museum. Exhibition "Peopling" in the //hapo Museum. 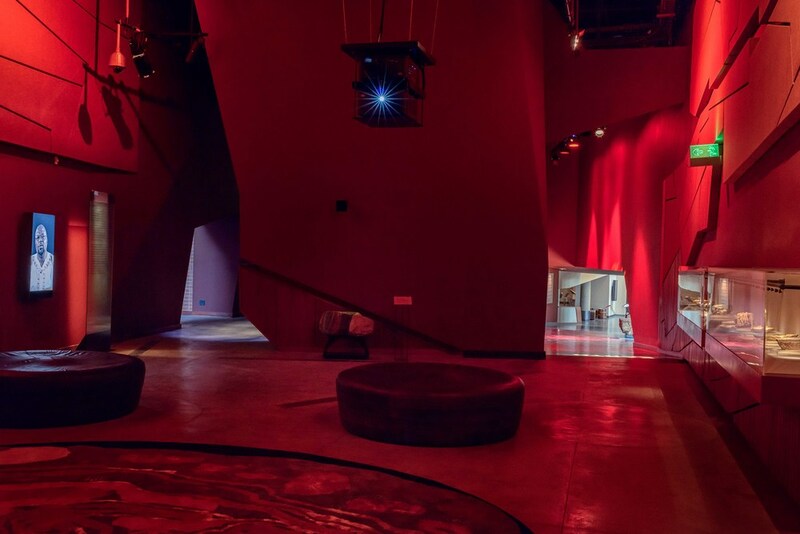 Starting with the story of creation, the //hapo Museum unravels the complex tale of Africa across both time and space. 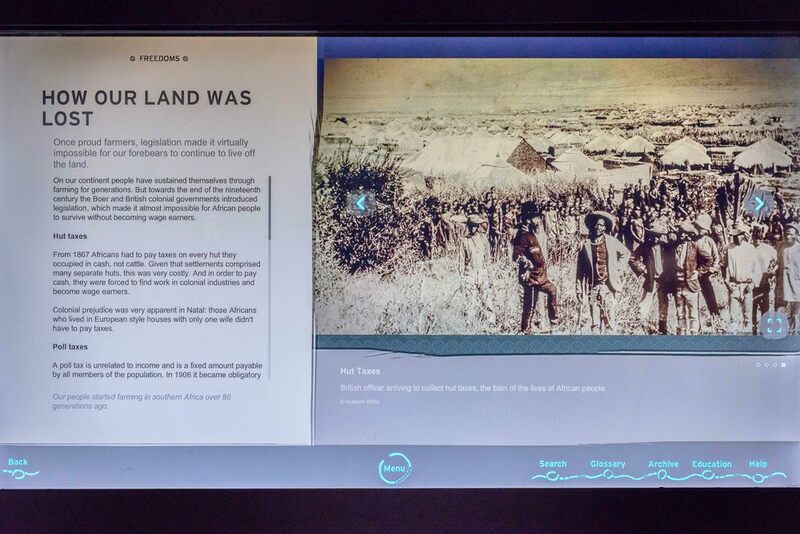 Exhibition "Resistance and Colonisation" in the //hapo Museum. Exhibition "Industrialisation and Urbanisation" in the //hapo Museum. Exhibition "Nationalism and Struggle" in the //hapo Museum. Exhibition "Nation Building an Continent Building" in the //hapo Museum. Walking path from the Freedom Park Museum up to the hill with the monuments. The Lekgotla, a meeting place around an Umlahlankosi tree. 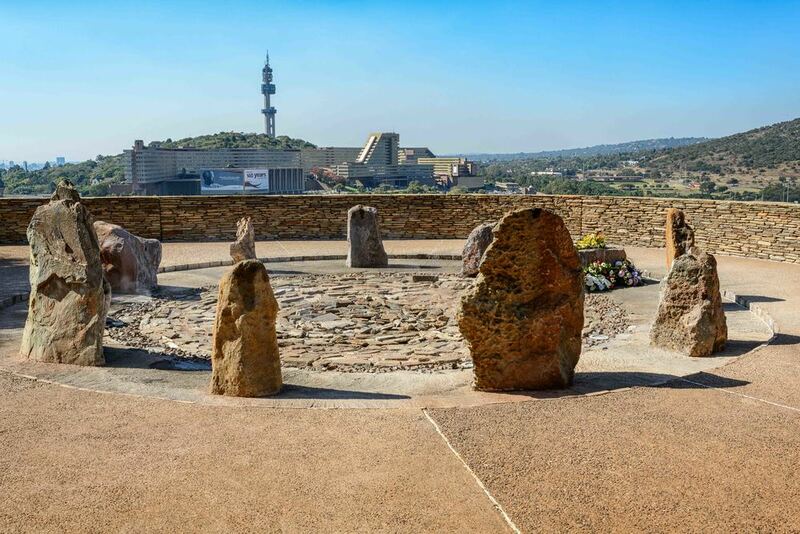 Isivivane, the resting place for those who played a part in the freedom and liberation of South Africa. 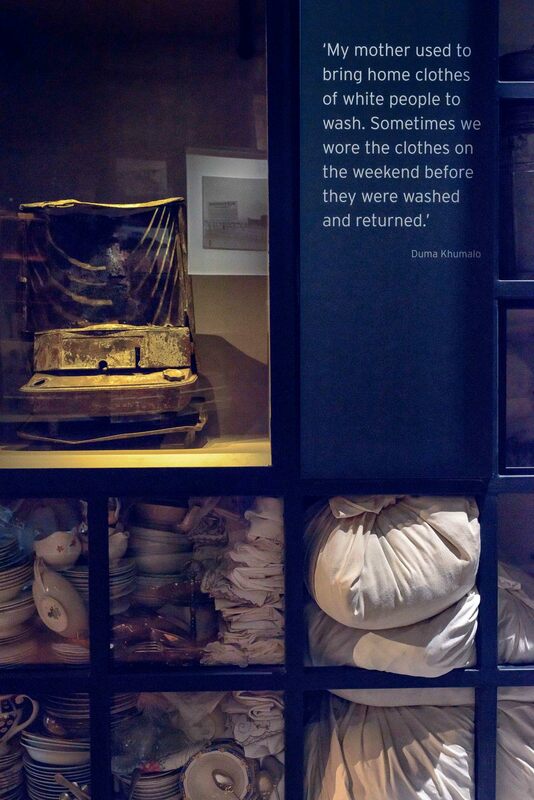 Memories for the once who played a part in the freedom and liberation of South Africa. Overview Isivivane, in the back the Gautrain from Pretoria coming. Map of the main Memorial S'khumbuto with the Wall of Names, the Amphitheatre, Sanctuary, Eternal Flame and the Gallery of Leaders. Wall of Names, in total 697 meters in length. To date approx. 75,000 names have been inscribed. Path along the Wall of Names to the Sanctuary. The Sanctuary, a serene environment conductive to the outpouring of emotion. The Amphitheatre with the Eternal Flame in front. Path to the Gallery of Leaders. The Gallery of Leaders is an indoor space reserved o showcase those leaders whose contributions stand out in human memory and history. National, Continentally and Internationally Leaders are shown. Che Guevara, in the Gallery of Leaders. 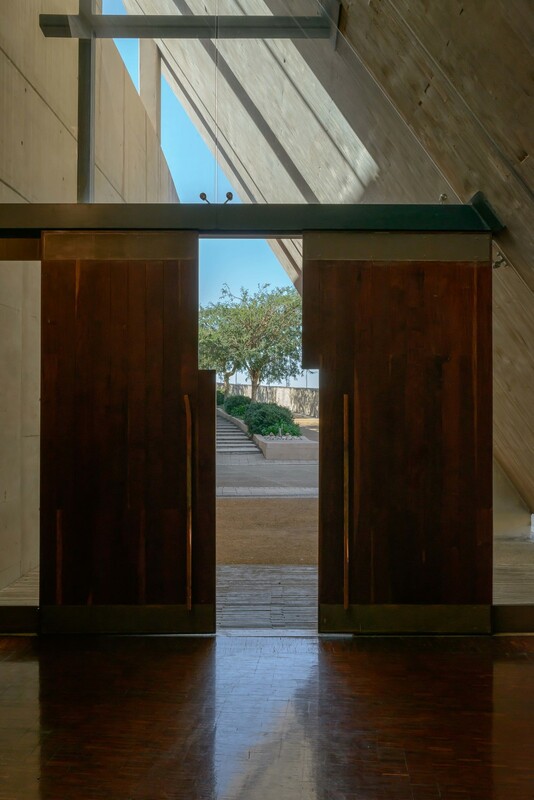 The door to leave the Gallery of Leaders. Moshate, a high-level hospitality suite, for presidential and diplomatic functions. 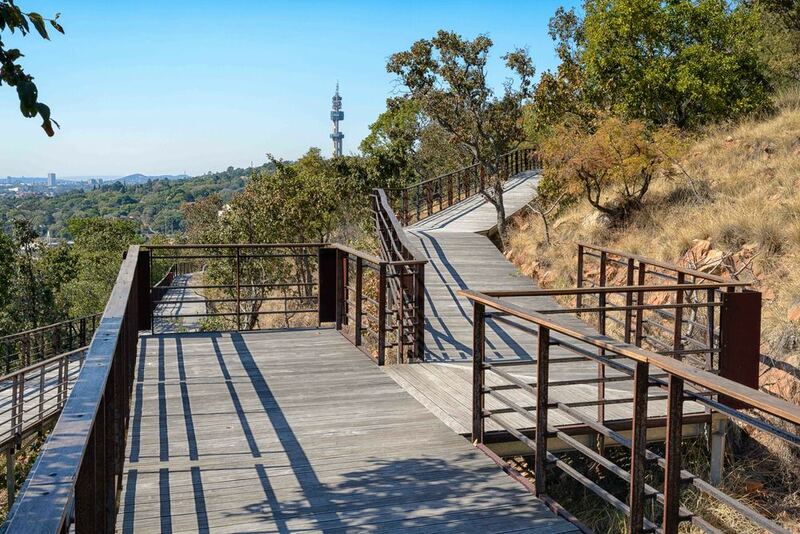 Path downwards to the Freedom Park Museum. One of many platforms overlooking Pretoria incl. the Union Buildings. Back at the Freedom Park Museum, with cafe and restaurant. Exit from the Freedom Park via the Museum to the parking area attached.